just outside of Morioka Station. A second-batch Class EH500 at the Tabata Yard outside Tabata Station. 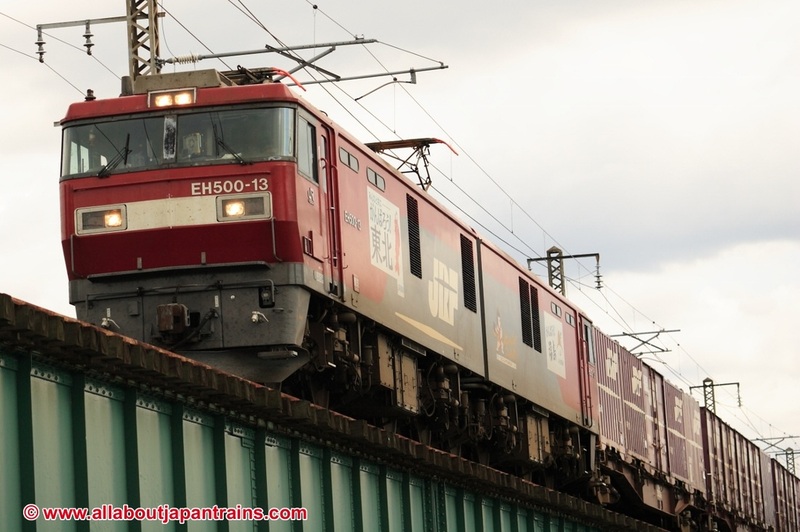 The Class EH500 is an eight-axle electric locomotive developed by JRF to replace older Japanese National Railways locomotives such as the Class ED75 and ED79. 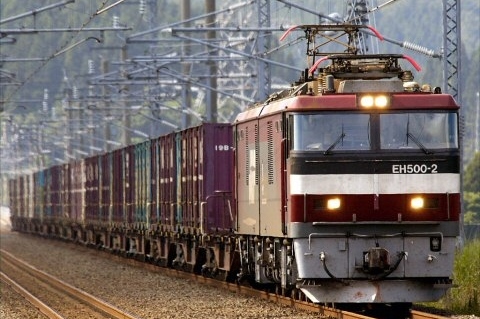 One of the issues that plagued freight trains hauling cargo from Tokyo to Hakodate was the necessity to switch locomotives twice. The first switch occurring where the DC section ends and the AC section begins and the second just before the Seikan tunnel. JRF sought to simplify this process by introducing an AC/DC locomotive that would eliminate the need to switch locomotives. The result was the enormous Class EH500 locomotive. JRF also built the Class EH500 to reduce the number of locomotives needed to pull long freight trains and thus functions as two permanently coupled four-axle locomotives. However, being permanently coupled, it counts as one locomotive and therefore decreases operating costs. 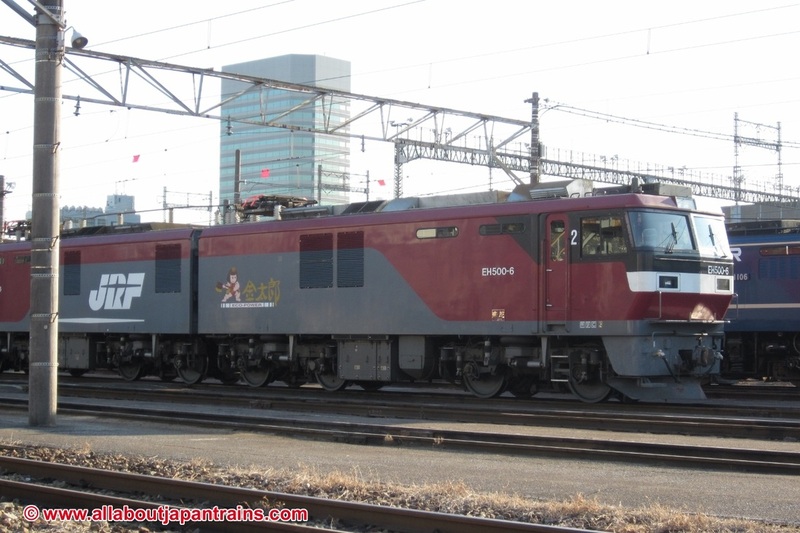 The Class EH500 was the first eight-axle locomotive built in Japan since the JNR Class EH10 of the 1950s. This design was adopted to increase traction and spread out the power to deal with the steep slopes of the Seikan Tunnel. It also serves to spread the weight and decrease damage to the rails. The prototype and first batch units have headlights mounted low just above the skirt while the later second and third batch units have them placed below the front windshields. The prototype, first and second batches are painted in a deep red while the third batch units are painted in a brighter red.